In 2016, we unveiled medium-term value objectives that will accelerate our drive to create sustainable and long-term value as a multi-specialty chemical company. 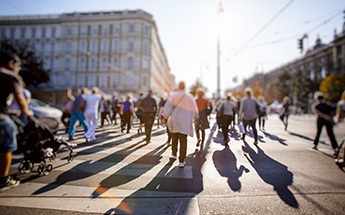 These new goals encompass sustainability as well as financial delivery, creating value that stands the test of time and reinforcing long-lasting market leadership positions. 2016 underlying figures; 2015 pro forma and restated information (except for environmental and social figures). 1At constant forex & scope. When we announced plans to acquire Cytec in 2015, our synergy target was € 100 million within 3 years. In 2016, the integration process went more smoothly than we originally anticipated. As a result, we are confident that by the end of 2018 we will have delivered synergies of at least € 150 million, 50% more than first thought. The acquisition was already cash accretive in 2016. Expanded production around the world included extra capabilities for composites in Germany, the launch of highly dispersible silica production in South Korea and a new hydrogen peroxide plant in China. Among growth projects still under construction in 2016 were a hydrogen peroxide plant in Saudi Arabia, a PEEK polymers plant in the United States and the second phase of a fluoro-polymers plant in China. 2 2015 pro forma and non-restated figure. 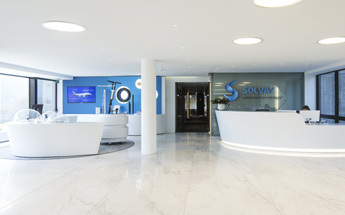 Solvay’s cash flow return on investment has continued to improve, from 6.1% in 2015 to 6.3% in 2016. Independently calculated by Credit Suisse, HOLT CFROI measures the cash returns a business earns on the investments it makes. Solvay is focused on growing its underlying EBITDA and Free Cash Flow, while reducing its capital expenditure to drive an improvement in CFROI by 50 – 100 basis points over the 2015 to 2018 period as announced at Solvay’s Capital Markets Day in September 2016. In 2016, we began to apply an internal price of € 25 per metric ton of CO2 equivalent on greenhouse gas emissions in all our investment decisions. Consequently, climate-related impacts are incorporated into our strategic choices. By implementing a “carbon price signal”, the Group is clearly establishing its commitment to the transition to a low-carbon economy. At the request of leading surgical device manufacturer Medacta, Solvay provided data generated for its Sustainable Portfolio Management (SPM) initiative to enable documentation of the safety and environmental benefits of Medacta’s novel GMK® Efficiency single-use instrumentation system. Injection-molded from Solvay’s high performance medical grade polymers, GMK® Efficiency instruments reduce the risk of hospital-acquired infections, save significant quantities of water by eliminating the need for repeated washing and sterilization, and were judged as “CO2-neutral” using an ISO recognized methodology when compared to conventional metal reusable instrument sets. 3 Rate of accidents with medical treatment, with or without work stoppage. Non-restated figures. To establish a safety culture in all our sites, local teams organize safety-focused events at least once a year involving their employees (and sometimes their subcontractors). 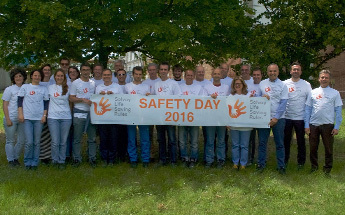 In 2016, all of our sites held Safety Days. Programs vary from site to site – often involving trainings and also awards, quizzes, competitions and demonstrations – with the objective of making sure that everyone knows and applies our Life-Saving Rules and abides by our Health, Safety, and Environment policy, “Think Twice, Act Once”. Attention to safety very often goes beyond the workplace: for instance, our Bulgarian Devnya plant has launched a campaign to encourage children to sit in the rear of the car and wear safety belts! 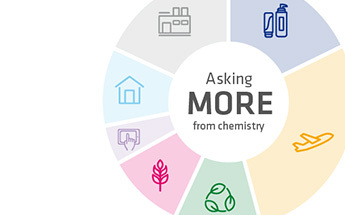 Solvay’s engagement survey revealed that many employees wished for more regular discussions with their managers on their performance and career paths. As a result, the Human Resources department has launched an initiative called “PDCR for All”, in order to extend the implementation of the existing PDCR to more employees. This will give them the opportunity to discuss their development and career evolution, their expectations and what is expected of them, at least once a year. Launched in early 2016, the initiative is now gradually being implemented worldwide. There have always been spontaneous actions by our local teams intended to help communities. We want to foster collaborative ways of working across the sites. Each site decides autonomously on its own societal projects, and invites its employees to volunteer. Serving society is not a “tick box” exercise. Service means upholding a long-term commitment to shared value projects that reinforce the identity and values of the Group. We are convinced that community involvement helps to reinforce our colleagues’ pride and commitment at working at Solvay. 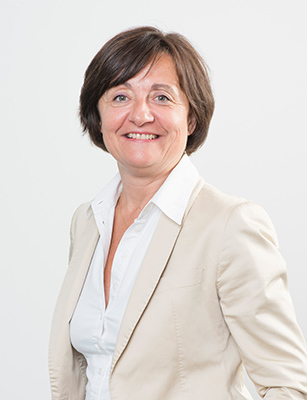 *Co-leader of the project with Pascal Chalvon-Demersay, Chief Sustainability Officer.